“Have I started to forget that she is a noble? Or was I forgetting that I am just a peasant?” (Page 45). San is the baker’s son and in Egyptian times that means he is the boy who delivers the bread and is destined to become the baker when his father retires. You would think delivering bread would be boring, but for San, he steps into the middle of a plot to kill high members of the nobility. San is intrigued by more than just plots, he discovers Aja, a girl who wants a friend as much as he does. Together they will have to uncover evil plots and figure out if they can remain friends from different classes of Egyptian society. 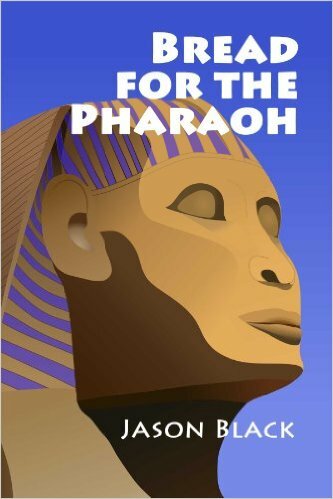 Bread for Pharaoh was a fun and imaginative book that I enjoyed reading. San was a fun character with personality. He was a protagonist that grabbed life and made it what he wanted. Though he came from the peasant class, he didn’t let that stop him from making a friend in the nobility, going out of his way to help those around him and in different classes, taking risks, pretending to be above his station to accomplish his goals, and being an all-around active protagonist. I was pleased to read about him as a character and was extra pleased that though he was a boy, his character and Aja’s could have been gender reversed in the same story. Neither character was ultimately defined by their class or their gender and this makes for a worthwhile read, especially for young impressionable readers. This book excelled in its simplicity. The setting was simple and geographically enclosed, though the reader got an understanding of Egypt in that time period. The cast of characters wasn’t too large. The events weren’t too out of the ordinary, though exciting enough to keep the reader’s interest. Overall it was a well-done story. This novel was published by Elder Road LLC on December 2nd, 2013 and is available on Amazon here.